Hitachi High-Tech Analytical Science Corporation (Hitachi High-Tech Analytical Science), a Hitachi High-Technologies Corporation wholly owned subsidiary engaged in the manufacture and sales of analysis and measuring instruments, has introduced a new accessible model of the popular X-MET8000 Geo handheld XRF analyzer optimized for soil and mining grade control applications. It offers unrivalled price-performance ratio with a rapid return on investment (ROI) allowing immediate on-site decision making rather than having to send samples for laboratory analysis. 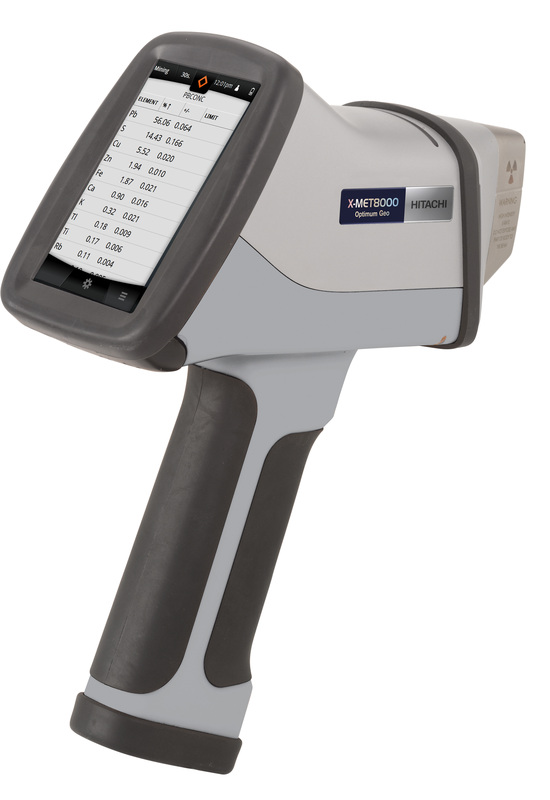 Easy to use and designed to withstand the harshest environments and weather conditions, the X-MET8000 Optimum Geo offers results in seconds with real time data sharing for fast decision making. The revolutionary Boost™ technology delivers low levels of detection whilst the integrated GPS enables you to combine geolocation data with analyses results for flawless site mapping. Share results, photographs and GPS coordinates on-the-go with the ExTOPE Connect app, whilst with the cloud service, you have real-time access anytime, anywhere to results. Results are stored on the analyzer, and can be downloaded to the USB memory stick or PC in a CSV or PDF format. You can also manage results from multiple X-METs with a single ExTOPE Connect account.